Matt’s first passion was theatre. Acting credits include The Ghost Of Oxford Street directed by Malcolm McLaren for Channel 4. He studied English Literature at University College London and co-founded Blast Theory in 1991. Matt helped found the New Work Network. 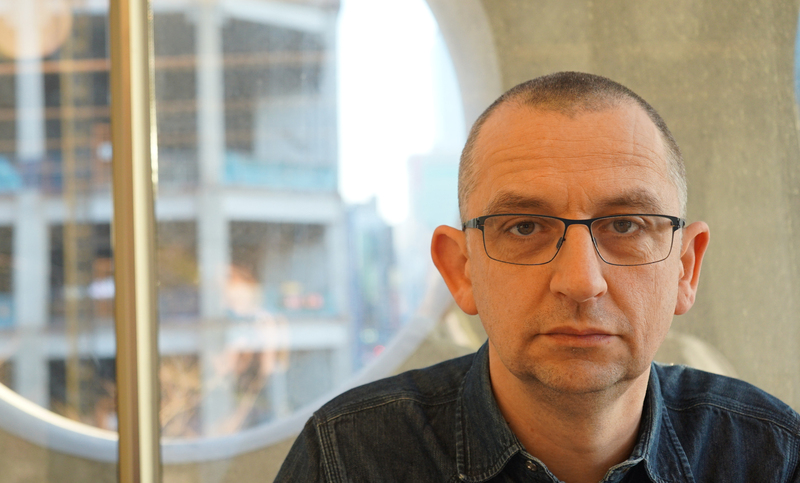 He co-curated the Screen series of video works for Live Culture at Tate Modern in 2003 and curated the Games and War season at the ICA in London in 2003. He has had residencies at Kunstlerhaus Bethanien in Berlin, the Banff New Media Centre in Canada and Arnolfini in Bristol. He is a winner of the Maverick Award at the Game Developers Choice Awards. He was a Thinker In Residence for the South Australian Government. He has taught widely on performance, new media and interdisciplinary practice at institutions such as the Royal College of Art, the Australian Network for Art and Technology and Pace University in New York. He has contributed to research by Ofcom, the Technology Strategy Board and the Engineering and Physical Sciences Research Council and has co-authored over twenty papers with the University of Nottingham. Matt has given talks at the Sorbonne, the Department of Cultural Affairs in Taipei, Stanford University and the Museum of Contemporary Art in Sydney among others. He was the Visiting Professor for Interactive Media at the Central School of Speech and Drama from 2007 to 2014 and is an Honorary Fellow at the University of Exeter. He is a member of the South East Area Council for Arts Council England, is Chair of the Advisory Board for non zero one and is Vice Chair on the Board of Trustees for Lighthouse.